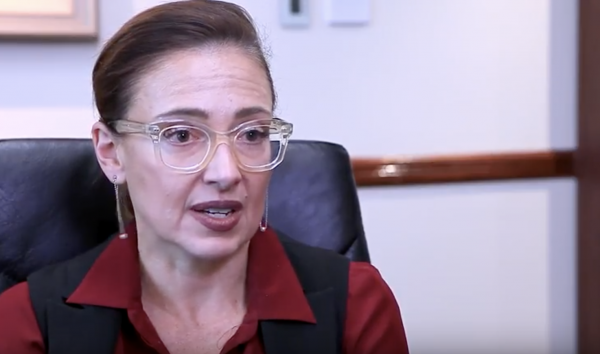 According to Dr Rachel David, CEO of Private Healthcare Australia, the private health insurance rebate has been helping keep premiums affordable for Australians for almost two decades. During that time the rebate has been celebrated and criticised for the role it has played in Australia’s mixed public-private health system. The rebate has been an easy target for ideologically motivated advocates seeking a quick monetary gain for their own pet causes. An independent study into the financing of Australia’s health system puts an end to the argument that the money spent on the rebate could be better spent elsewhere. Conducted by social policy research firm, Evaluate, the study concludes that a dollar spent by the Government on the PHI Rebate is up to 15% more efficient than a dollar directed to the public system. The study “The relative efficiency of the Private Health Insurance Rebate v. direct public health expenditure” was commissioned to assess and address the volume of incorrect information being circulated by people with a vested interest or a particular philosophical barrow to push against the PHI rebate. This study confirms the current mix of expenditure is hitting the mark and delivering a world-class health system. Australia’s mixed private – public health system is providing the right balance of healthcare for consumers. We understand from surveys of over 16 000 people with and without health insurance, there is no desire in the community for the uniquely balanced health system in Australia to be disrupted. Health policy experts across the political spectrum understand that the PHI rebate is critical to maintaining this balance and is an efficient and effective use of government money, both in terms of direct economic costs and in overall welfare gains. The study also confirms that in the interests of maintaining affordability of PHI for low and middle income earners, no further reductions should be made to the rebate on PHI premiums for either hospital or ‘extras’. Doing so will not benefit public hospitals or Medicare. The true impact of the rebate on individuals’ lives is often lost in the economic debate. The rebate makes PHI more affordable for young people. No longer is it the decision to start a family that’s driving young Australians in to PHI, sadly it is more likely to be a mental health condition. Each year, one in five Australians experiences anxiety, depression, eating disorder or another mental health condition that prevents them from continuing with their day to day life. Tragically suicide is the biggest killer of young Australians and accounts for the deaths of more young people than car accidents. (Beyond Blue). Private health cover is crucial for young people suffering from mental illness. The public system is overstretched and private health funds cover over 50% of hospital admissions for mental health problems. Treatment for serious mental illness can’t be put on hold or consigned to a waiting list. PHA’s Annual High Claims Survey which analyses the nature and magnitude of high claims (benefits exceeding $10,000) paid by health funds reinforces this. More than 16,000 high claims were paid for members under the age of 30 during 2016, an increase of 5.8% on the previous year. Many of these episodes involved hospital stays of more than 100 days for young Australians suffering from mental health issues, cancer and other conditions. Young people often think they’re invincible, but this data shows private health insurance is as important for those aged under 30 as it is for older Australians. It can be very difficult to get long-term treatment for conditions like PTSD, addictions and eating disorders in the public hospital system. Younger people, who develop these conditions, or their families, can find themselves out of pocket by thousands of dollars if they don’t have private health insurance. The value of private health insurance for older Australians too is unmistakable. There is increasing pressure on the public hospital system and older Australians do not want to wait for procedures that keep them engaged in society and productive. It is possible to wait for over a year for some hip and knee procedures and cataract surgery in the public health system. Not many people can afford to pay over $20 000 for hip or knee surgery, nor are they willing to spend almost a year in pain on a public hospital waiting list. These are common procedures health funds help their members access every day, and the reason why PHI members value the security and peace of mind they get from knowing they can have surgery when they need it. There are 13.5 million Australians with private health insurance and almost half of them have an annual income of less than $50 000. The PHI rebate allows a greater proportion of the population to access private health care, which benefits the wider community by reducing waiting times in public hospitals, which would be significantly higher without it. A healthy private sector is essential to the sustainability of Australia’s health system and the PHI rebate is a critical component. This research puts the question of whether the rebate is value for money and appropriately targeted beyond doubt. It’s also sensible economic policy.